I love whisky. I love trains. 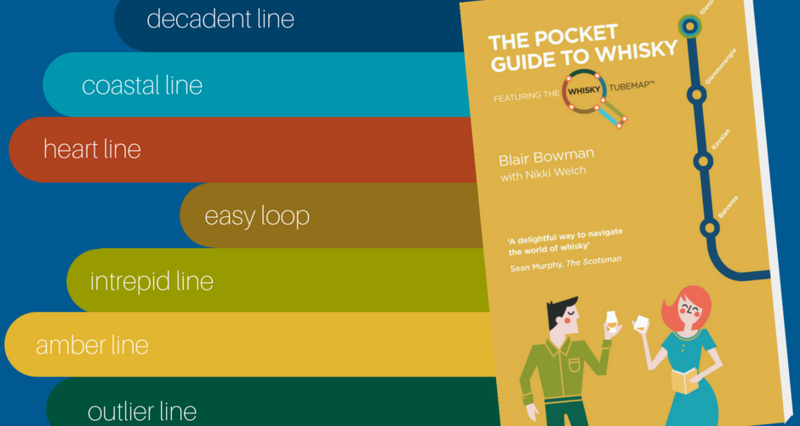 So Blair Bowman has struck gold with the launch of his first ever book – The Pocket Guide to Whisky featuring the Whisky Tube Map. Launched to coincide with World Whisky Day, the book has been written in collaboration with Nicky Welsh, who created the Wine Tube Map. I first encountered the concept at a food fair a couple of years ago and thought it was brilliant. The world of wine can be massively confusing and I can just about bluff my way through it. But the Wine Tube Map gave me a bit of confidence to explore new expressions, as well as building my knowledge about how the whole wine world knits together. Blair has taken the same idea and applied it to Scotland’s national drink, thus creating the very first Whisky Tube Map. Unlike most whisky maps, which focus on geography, this brings connects different whiskies together by their taste, texture and style. Each whisky appears on one of seven “lines”, with a number of intersections where the lines meet, as the whiskies at these “stops” represent a number of different styles. The design echoes its London Underground inspiration, although there’s been a few bridges and ferries added in for good measure. There are plenty of stops from which to start your journey, whether you looking to start your own journey or searching for someone else. And further on in the book, there are hints and tips such as how to pair whisky with food and some introductory cocktail recipes. Reading the book, I’d say its very much aimed at the new whisky drinker, as it simply doesn’t delve into enough detail for a long-term whisky drinker. Its scope is also slightly limited, with only 33 of Scotland’s 100 and something distilleries included. However, this is an admission which Blair freely admits it, and I imagine a map attempting to include all brands could end help a bit of a muddle. Despite my reservations (pun VERY MUCH INTENDED! 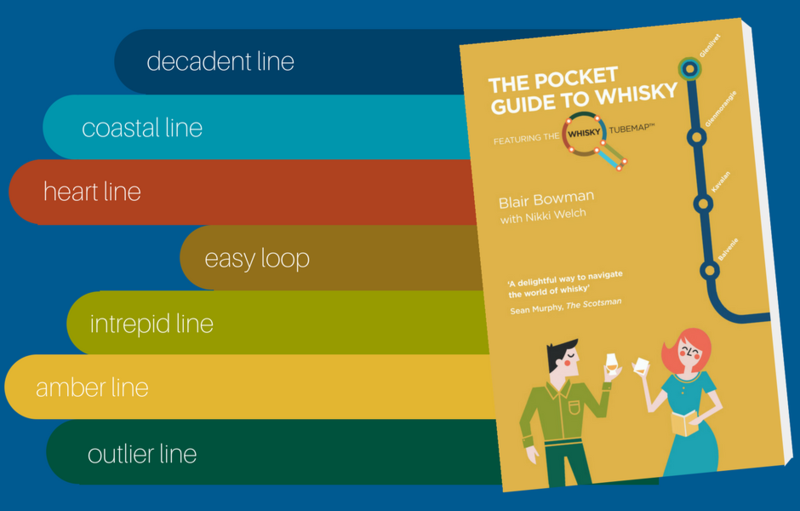 ), The Pocket Guide to Whisky featuring the Whisky Tube Map is one of the best entry-level whisky books I’ve seen in a very long time. Rather than getting bogged down in whisky’s history and production, it focuses on the best part of whisky – the drinking! Blair and Nicky’s approach demystifies the product, giving consumers the confidence to enjoy Scotland’s national drink with the minimum of fuss. The Pocket Guide to Whisky is published by Birlinn Books and retails at £7.99. You can order your copy here. My copy was provided by Blair.